Looking for a qualified saxophone teacher in the San Diego area or beyond? Look no further! 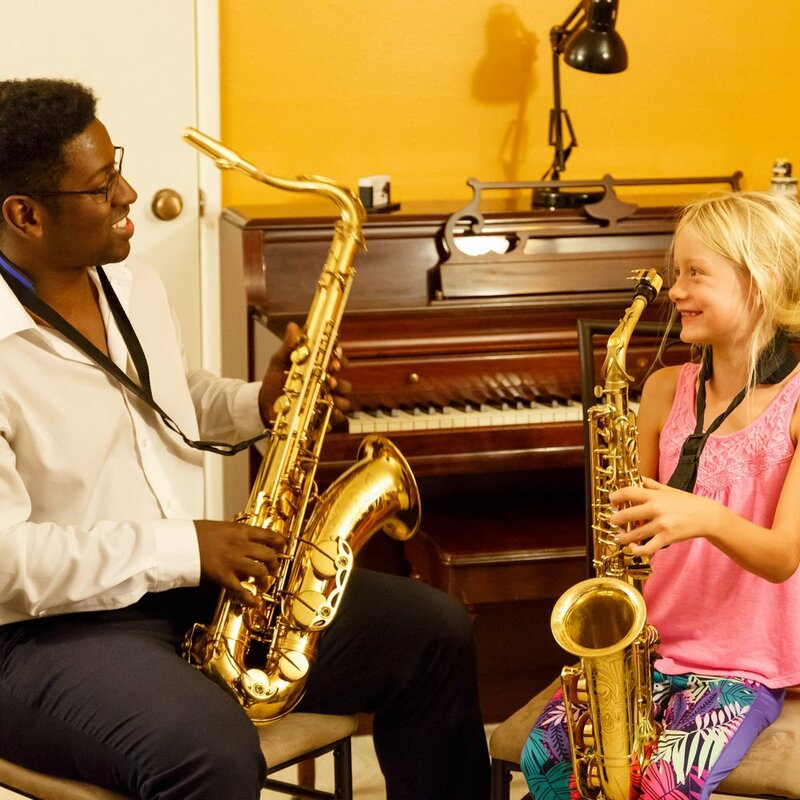 Isaac teaches saxophone lessons in his home in Rancho Penasquitos, in your home in San Diego, or anywhere in the world via online saxophone lessons (e.g., through Skype/Zoom). An 8 year-old beginning student. I provide positive, patient, professional instruction, customized to each individual student's levels and goals. Levels: I teach all levels of students; beginner through advanced are all welcome. I teach all ages-- children, teens and adults. Locations: I teach in 3 locations: (1) my home in San Diego (92129, near Rolling Hills Elementary School for reference), (2) in your home if you prefer (if your home is located within my travel radius-- see Rates section for details), and (3) anywhere in the world via online saxophone lessons (e.g., Skype/Zoom)! Lessons are customized based on the individual student's level and goals. Beginning students will learn basic saxophone technique and fundamentals, sight reading (learning to read music), ear training and theory. (1) Tone development: A beautiful sound will set you apart. (2) Technical facility: in order to be a great improviser, you need the technical facility to play what you hear in your head and I can help you get there. (3) The jazz language, through rigorous transcription and a practical application of those concepts by soloing over chord progressions (blues, rhythm changes, etc.). Students will be able to immediately apply the concepts learned through transcription to real live performances and other contexts. I also coach students as they prepare for auditions, such as high school or college bands, or for work as a professional musician. Style: I am fluent in a variety of musical styles and customize musical repertoire based on my students' tastes and goals. Genres I specialize in include: straight ahead/traditional jazz, classical, pop, smooth jazz, funk, hip-hop, R & B, Gospel, contemporary Christian music, soul and much more. 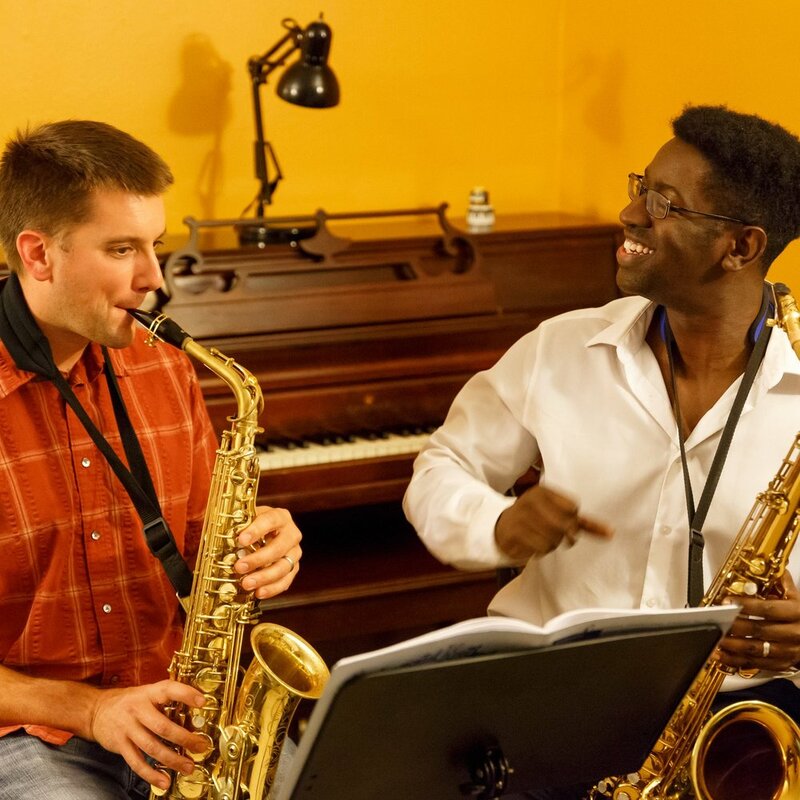 Isaac teaches alto, tenor, soprano and bari sax. Lessons are generally once per week and scheduled at a regular time. If you have different scheduling needs, please let me know and I will do my best to work with your schedule. In-home lessons: For lessons in your home, a travel fee of $5-15 per visit is added, depending on distance from my starting point (use nearby Rolling Hills Elementary School for reference: 15255 Penasquitos Drive, San Diego, CA, 92129). Keep in mind that since the travel fee is per visit, you could share the cost with a nearby neighbor or friend if both students take sax lessons in the same house. If you live outside of the 10 mile travel radius but would still like in-home lessons, I will do my best to accommodate you; please contact me and we can discuss. Lesson length: Beginning students typically start with 30 minute lessons; intermediate and advanced students usually opt for 60 minute lessons. Payment: Payment is typically due at the beginning of the month for that month's lessons. If you have a regular weekly time, payment is due at the first lesson of the month. If you do not have a regular time, payment is due at each lesson. Acceptable payment forms include: cash, check, Venmo, PayPal (fee-free option), Chase QuickPay, or credit card (add +$2/lesson to cover credit card processing fees if you choose this option). (Online students: payment is due by the beginning of the lesson via PayPal, Venmo or Chase QuickPay). If you need to reschedule a lesson, please let me know at least 24 hours in advance. You can reach me by e-mail or by phone (either by texting or calling). For less than 24 hours notice, missed lessons cannot be rescheduled and full payment for that lesson is due. Exceptions include: sudden illness (e.g., waking up with a fever that morning), or true emergencies (e.g., accident, serious injury, sudden death in the family). I will be as accommodating as possible in rescheduling your lesson, but exceptions aside, a 100% cancellation fee if the lesson is cancelled within 24 hours of the scheduled time (this includes "no shows"). For early cancellations, I will offer you a makeup session which would need to be scheduled within one month.